The island’s official carrier took delivery of the first of two 787-8s in May 2016. It is ideal for the 11hr non-stop flight from Roland Garros to Paris Charles de Gaulle with a two-class 262-passenger configuration. The airline also has three Boeing 777-300 ERs, but with three cabins and 442 seats. These aircraft are also used on the Paris routes, with the flight time much the same. Easy. 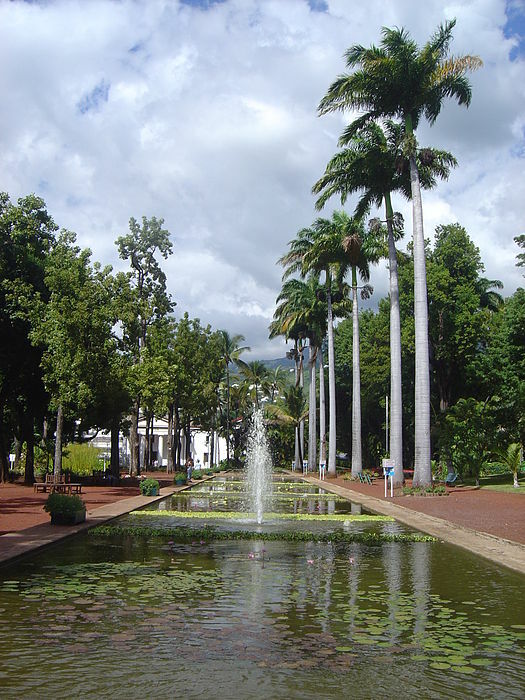 La Réunion is 500 miles east of Madagascar and 100 miles south of the nearest point in Mauritius. Besides Air Austral, Air France and Corsair offer services. From the UK, alternative routeing is BA from Gatwick (LGW) and Air Mauritius from Heathrow (LHR) to Mauritius and then a 45min ATR hop to Roland Garros or Pierrefonds Airport in the south of the island. La Réunion is a region of France and therefore part of the EU, with the Euro the local currency. And driving is on the right. Phoning even to the UK costs the same as from mainland Europe. It is not a holiday destination people might think about, but as an alternative to, say, Mauritius or the Seychelles, it has a distinct atmosphere all its own. 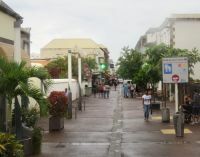 Réunion has a population of around 900,000 and is said to be the most prosperous island in the Indian Ocean, having the highest GDP per capita in the region. The EU has funded a major coastal road development programme. 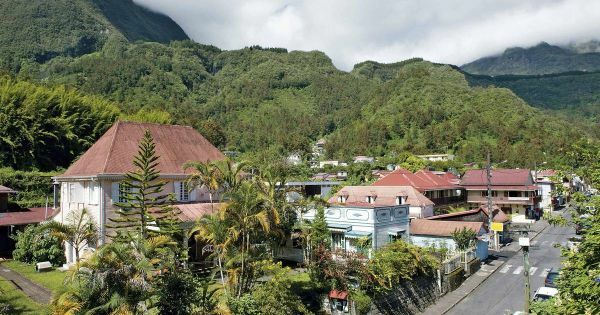 Réunion is about 30 miles in diameter, a circular island, dominated by the Piton des Neiges, an inactive volcano rising to 10,000ft above sea level and surrounded by lush vegetation and waterfalls. There are beach resorts galore. 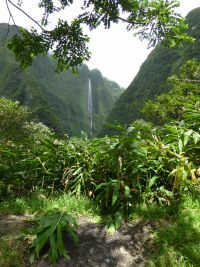 The official language is French, with Réunion Creole the widely-used local tongue. English is spoken and the official tourist leaflet has one side in French and the other in English. It is very welcoming and a regular call for cruise ships on their way to and from Cape Town. Normally it is a full day’s berthing, allowing plenty of time to gain a perspective of the island. A circular drive around the volcanic landmass will cover 250km and take about 5hr, but you will certainly need a couple of stops to take in the views and for refreshment purposes. Use a local driver. The island has been inhabited since the 17th century, with the French East India Company using it as a lay-over station on the way to the Far East. The name La Réunion dates from the French Revolution, honouring the union of revolutionaries from Marseille with the National Guard in Paris. The Napoleonic wars saw Britain take over for a short period but under the Congress of Venice it was returned to France. The opening of the Suez Canal in 1869 reduced the importance of the island as a stopover on the East Indies trade route and today it relies on tourism and rum exports. It is largely Catholic and 10% Hindu. Its remoteness is one of its virtues, with the Paris flights a vital link. Ours was a short visit from a cruise ship. We booked a car and driver in advance. 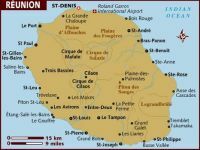 St Denis is on a similar latitude to Rio de Janeiro to put it in perspective and is a charming ‘old world’ French town. It is surrounded by mountains on three sides, with our taxi taking us to La Montagne to the southwest for a good view of the city. Then it was on to our feet for a walking tour along the Avenue de Victoire and Rue de Paris. The cathedral dates from 1832 and hosted Pope John Paul II in 1989. Opposite is the university in a building completed in 1759 which has been a hospital and barracks. 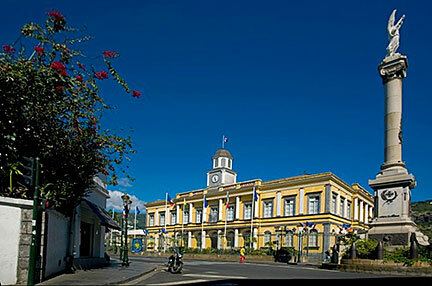 Nearby, the Hôtel de Ville (town hall) is considered to be one of the most attractive buildings in the city. There are some impressive Creole mansions and at the other end of the scale plenty of quaint local shops with locally produced products, particularly clothing. The Grand Marché (Big Market) is covered and besides fruits and vegetables offers spices, textiles and wood carvings from Madagascar, and souvenirs from the Indian Ocean region. And since you are in France, the multi-nationals are not far away. We took lunch at the Jardin de l’Etat, a delightful park, with a busy cafeteria, plenty to keep children amused and free wi-fi. It was something of an oasis in the centre of the city. The Réunion staple nourishment is the traditional Creole "caris" (essentially a local spelling of "curry"), the "cabri massalé" (prepared with goat meat) being one of the most popular varieties. Caris are also made with chicken, duck, and seafood, and all normally come with a separate side of minced chilli pepper. The ride up to the Salazie Cirque, a massive natural amphitheatre, is “interesting”, better perhaps in a small car rather than the tour buses, and topped by the village of Hell Bourg, now given over to tourism, but nevertheless charming with old French colonial style homes. The Folio House, owned by M Raphael Folio, is typical, and part of the heritage story of runaway slaves, and even a thermal bath, was fascinating, straight out of French Pacific colonies but in another ocean. There are a huge number of hotels and villas available, including the Accor chain. We found just a little time to relax at the Lux Hotel, at the seaside resort of St Giles Les Bianes, 5-star luxury, and a gourmet restaurant poolside with the beach and warm water beckoning. Perhaps another time. Réunion is one of those tantalisingly attractive places a little distant but just within a day’s flight time from most UK regional airports via Paris. The British are certainly a marketing target, Réunion totally French but with an atmosphere and coastline entirely different from the south of France. It is on our wish list for a week’s visit. PS. Here is a good quiz question. What was the first place to use the Euro? Réunion. The time zone is three hours ahead of France! Thank you, a most interesting and informative article.